How do I grow my practice, in the age of online marketing & corporate chains? Good work was enough in good old days. Word of mouth used to spread (and remain in the ears of people for years! ), “family doctor” and “family dentist” were everyday phrases, the growth path of a practice was quite predictable. Good work was the key. Welcome to 21st century, decade 2. Focus has shifted to online marketing, social media buzz, big corporate chains, online ratings of doctors, soft skills, practice management skills etc., The speed with which these changes came about has caught most practitioners unawares. Most practitioners still consider social media a waste of time. At a recent gathering of about 70 dentists, I asked how many had a Facebook page for the clinic. Just two raised their hand! Good work is still the key, but not enough anymore. You need few more keys…. Not only do good work but also ensure it gets known to a good number of people. Not only work with your unique instinct and skills but also use technology/methodology. Not only deliver quality but also build a systematic consistency & scalability in repeat-work. All of this, without diluting the ‘noble’ aura of your work. No matter what the hype makes you believe, a doctor’s work can never be commoditized. 1. Your instinct and skills are still the most important factors – continue enriching those. 2. Latest equipment, material, and knowledge are important – continue updating those. 3. Your staff are your extension – nurture and respect them. 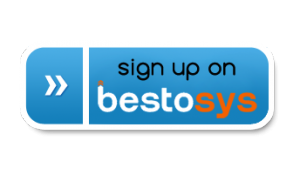 You can actually do many of things mentioned above by signing up Free on Bestosys Practice Management Software! 6 ways your software can put you at medico/legal risk! Systematic Practice Growth – How software can make a BIG difference! How doctors can adopt cashless payment system? What to look for in Good Practice Management Software? Should I use Practice management software? This software not only give me access to my medical records but also let me set reminder for my medicines... WOW! This software is purely for patient management. Those who are looking to increase their new OPD along with the retention of new clients should definitely go for this software..Patient Management is just a click away. The software has polished interface with good features. Booking appointments, servicing and tracking the clients are done quite easily with the software. However, there is room further improvement. The billing section, ability to read Emirates ID card, insurance portal and medication prescription. Overall, I would recommend the software but the software developers have miles to go before Bestosys become a complete package in the medical industry. Very good patient management software. Best addition to my clinic till date...Very easy to use. The support is excellent. Amazing statistics and analytics.. Growth Calculator is really a very good tool. Superb. keep up the good work.